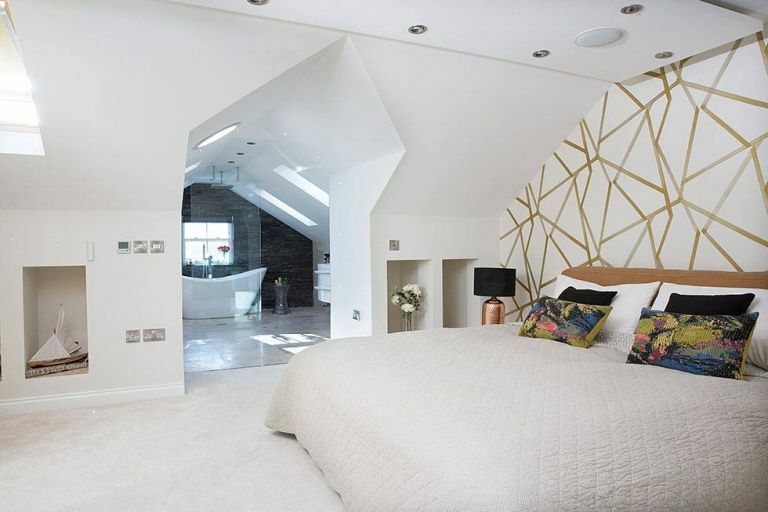 ‘When we built our three-storey house, the top floor was originally going to be for our son Hamish,’ explains Paul Warnock, who owns this house with his wife, Shona. ‘But once we started building, we realised it would make a much better master bedroom with open-plan en suite.’ To make it work, a wet room with a camber to the floor and waterproof membrane had to be installed. The owners: Paul Warnock, a former private yacht captain and marina manager, and his wife Shona, an ex-ship’s purser and corporate manager, now a full-time mum, live here with their son Hamish, nine.